Staff was helpful and courteous. Room was well equipped. Beds were comfy. 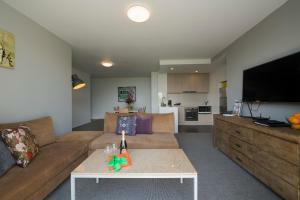 Fantastic 3 bedroom unit, heaps of room for 6 adults. 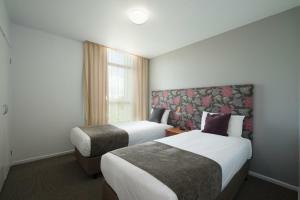 Very spacious rooms and excellent value for money (compared to same class accommodation in CBD). Swimming pool is great -these units are spacious and well priced .We were travelling to Tasmania and found it easy to get to Station Pier for the day sail .Found the neaby restaurants Pubs within walking distance good. Easy to find, great location. Bed was huge & comfortable. The staff were friendly & very helpful. Requested a early check in as we were going to the races at Flemington. They were very accomodating & our room was ready when we arrived. 10 min walk to the track. Great place to stay if your planning on spending the day at the races. Sorry I didn't eat at any restaurants- we brought our own yummies and used the lovely apartment kitchen. Pet friendly and a great location to stay with pets given there is a park across the road. Bedding arrangements were perfect, kitchen appliances and utensils adequate. Nice to have a dishwasher and washing machine and dryer if needed. Property was fine. Everything worked. Clean. No issues. Every thing was good friendly staff. Very nice place. The appartment size was big. Lock in a great price for Quest Flemington Apartment Hotels – rated 8.5 by recent guests! Quest Flemington Apartment Hotels This rating is a reflection of how the property compares to the industry standard when it comes to price, facilities and services available. It's based on a self-evaluation by the property. Use this rating to help choose your stay! 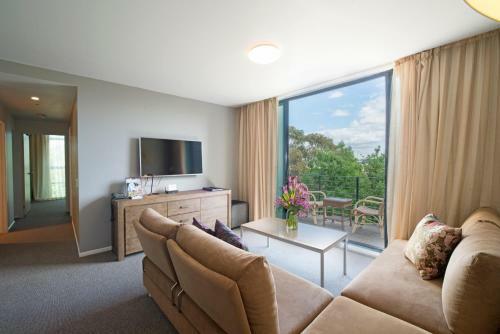 One of our top picks in Melbourne.Located next to Flemington Racecourse and the Melbourne Showgrounds, Quest Flemington Apartment Hotels offers well-appointed accommodations with free WiFi and full kitchen and laundry facilities. Guests enjoy an outdoor pool, tennis courts and free onsite parking. 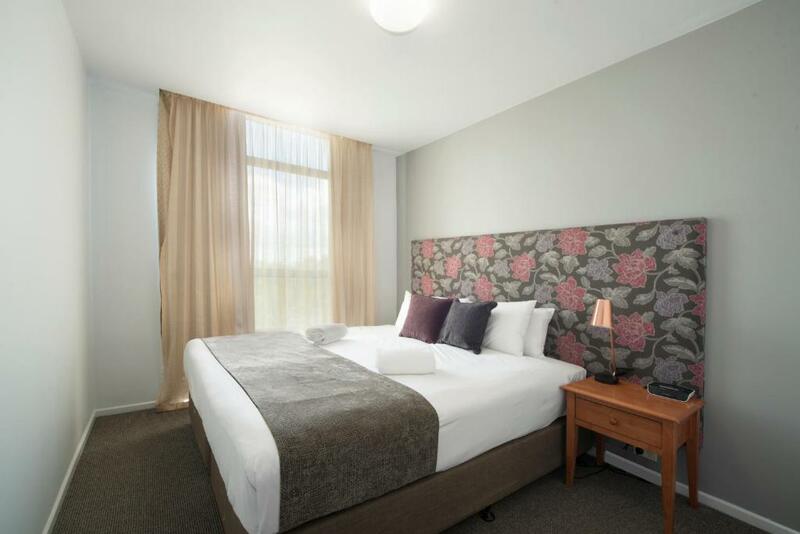 Quest Flemington Apartment Hotels just 2.2 mi from central Melbourne and a 15-minute drive from Tullamarine Airport. It is a 7-minute drive from the Melbourne Zoo and the State Hockey Netball Center. Flemington is a great choice for travelers interested in sightseeing, convenient public transportation and culturally diverse food. 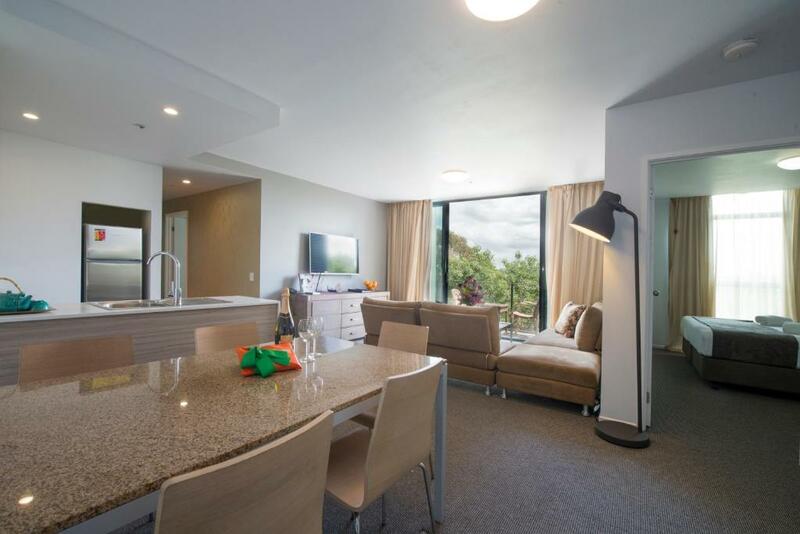 When would you like to stay at Quest Flemington Apartment Hotels? This modern and spacious apartment offers a kitchen with a refrigerator, microwave, and a dishwasher. It has a courtyard or balcony, as well as 2 flat-screen TVs, a laundry and a dining area. Please note that limited housekeeping services are provided. 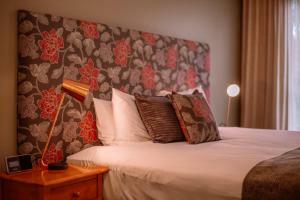 Quest Flemington serviced apartments offers guests a relaxed and comfortable accommodation experience. 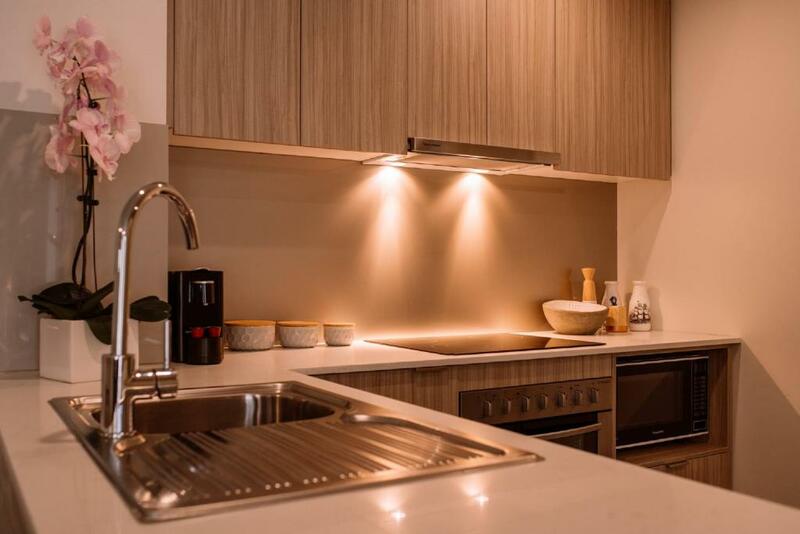 Quest Flemington accommodation offering 48 superbly appointed and spacious executive one, two and three bedroom (2 bathrooms) apartments in Flemington, Melbourne. Quest’s properties are owned and operated by franchisees just like us. In many cases we’ll be the person who checks you in or recommends the best places to eat around town. We take great pride in offering you a personalised service, quality accommodation and making sure you have everything you need for a comfortable stay. Quest Flemington's vibrant locale includes Flemington Racecourse - the home of the Melbourne Cup, Royal Melbourne Showgrounds and the world-class Melbourne Zoo. 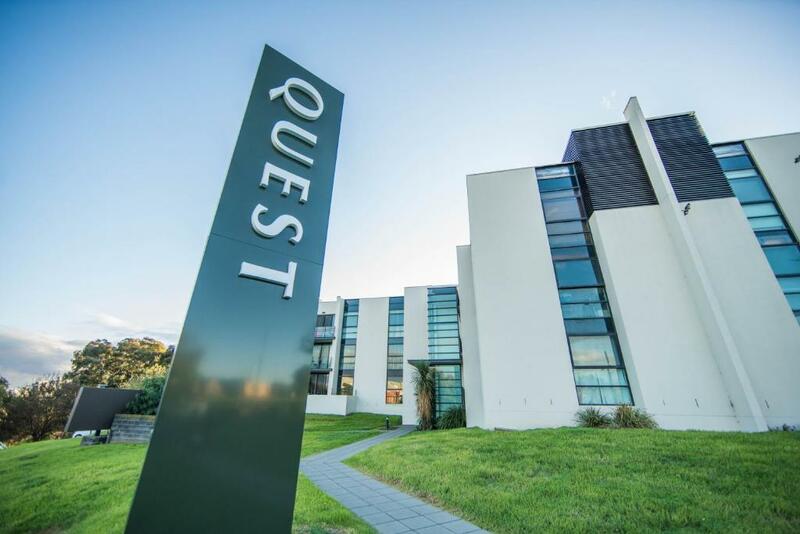 Only minutes from the Melbourne CBD, Quest Flemington is easily accessible by public transport and car and is also in close proximity to freeway access to both Melbourne Airport as well as Melbourne’s Western Business Parks. Area Info – This neighborhood is a great choice for travelers interested in sightseeing, convenient public transportation and culturally diverse food – Check location Great location - show map Guests loved walking around the neighborhood! House Rules Quest Flemington Apartment Hotels takes special requests – add in the next step! All children under 2 years are charged AUD 55 per night in a crib. Debit card Quest Flemington Apartment Hotels accepts these cards and reserves the right to temporarily hold an amount prior to arrival. Quest Flemington Apartment Hotels accepts these cards and reserves the right to temporarily hold an amount prior to arrival. Please note also that this property has a strict No Party Policy. Please note you must show a valid photo ID and credit card upon check in. The credit card must be in the same name as the guest's name on the booking confirmation and match the name on the photo ID. The kids loved the pool and tennis court. It's kept them entertained. It was close to all parts of Melbourne we needed to go. There is no lift. We had luggage and were at the back on a high floor. Possibly this is where the 2 bedrooms are located! Having to submit a credit card authorization form and a copy of a drivers licence as proof of ID before arrival or our booking would be canceled. A hassle! Free parking, complimentary juice and cornflakes. Didn't realise there wasn't a lift. My 88 year old mother in law and my mum who needs a hip replacement had to use 3 flights of stairs. Also shower over bath. No elevators. Morning staff were lovely, then an afternoon staff was abrut, and been unreasonable about a situation. Prices are great for the size of the rooms and location. I highly recommend the pet friendly Quest Flemington if you are looking for accommodation in central Melbourne. It is a tram ride away from the CBD. The apartments are beautifully appointed and our ground floor unit had a penned grassy area off the patio. Facilities include a swimming pool and tennis courts. It cost around $130 pn plus a one off $35 dog cleaning fee. Staff were so nice. Not a lot of elbow room in the shower. Coffee pod machine a nice touch. Verandah nice. Room and appliances were dated and could use a renovation. The bathroom was poorly designed and sealant around shower was falling off. Convenient car parking. Locks on all gates and doors. Two things I disliked about this accommodation was the lack of elevators in the apartment blocks and the lack of roof on the top floor balcony. Very nice to have a top floor room but there is no shade if you wanted to enjoy the balcony during the day and if you happened to leave anything out there was no protection from rain. The room was beautifully clean and smelt fresh and inviting. The provison of a mini breakfast was a nice touch and the king size bed was amazing. We were attending an event at the Melbourne showgrounds so the location was perfect.